"Excitech introduced us to our 3D modelling software, then they opened our eyes to Pinnacle Series to help guide us in using our design software to its maximum advantage. There were also other issues slowing down our productivity that we needed help with. Manual file naming, creating Revit sheets and printing them, and dealing with the complexities of transmittals were potential problem areas, particularly given our plan to go for BIM Level 2 accreditation. Once again Excitech stepped in. They're an invaluable extension to our team." The architectural practice, Shepheard Epstein Hunter (SEH) has received some 60 awards in the last fifteen years, acknowledging its imagination and ability to deliver. Based in King's Cross, London, the whole team works in open plan buildings which SEH owns and runs as Phoenix Yard - a synergetic business community of small and micro-sized enterprises and charities, together employing over 180 people. SEH is committed to sustainability and has developed its own independently certified Quality and Environmental Management System which guides its work and ensures the optimum level of sustainable design and construction for each project. SEH was seeing more and more new staff members arriving already trained in Revit. It was also encountering its use in a growing number of other consultancies with whom SEH worked together on numerous projects. According to Tzeh Bin Cheong, Associate Director at SEH, complications arose whenever collaboration was essential, yet authoring software used at SEH was not entirely compatible with those used among other organisations. Tzeh Bin says: "We'd often come across Excitech's name in conversations with industry colleagues, so we asked them to advise on the transition to Revit, get us up and running and make the new way of working as smooth as possible. They delivered on all fronts, and that was the start of a continuing relationship between our two companies". On Excitech's advice, SEH switched to Revit, understanding that in addition to resolving the issue around compatibility with other companies’ systems, Revit was widely accepted in architectural design, MEP, structural engineering and construction as a foundation software to have on board in the journey towards BIM Level 2 accreditation, and beyond. "Once SEH was equipped to assume a confident position in collaborative relationships with Revit installed, we turned to Excitech for two other areas of expertise," explains Tzeh Bin. "The first was to ensure company-wide confidence, proficiency, and self-sufficiency in using Revit. The second was to put an end to manual errors arising from the creation and printing of sheets from the software, the practice of manual file-naming, the potential clutter and confusion around transmittals, and the waste of time all these issues involved". “Even the most accomplished architect needs a skills refresh pretty regularly. We were sending too many people for too much out-of-office training. Costs were mounting. Excitech showed us a better way". As anyone who has ever used any type of software knows, you never call on all of its functionality every time you use it. Most everyday tasks require the most common functionalities. Repetition builds competence. Take repetition out of the equation and users occasionally find themselves in either unfamiliar territory, or parts of the software they may not have used for a long time. Finding out how to do something causes downtime. In an ideal world, everybody knows how to use the tools available to complete every action every time they need to. Excitech introduced Tzeh Bin to an e-learning platform that brings the ideal close to reality; close to the user, there on the screen. "We've found that knowledge retention sits at around the 50% level. That's to say people mostly forget half of what they learn, and probably even more when they have no need to use a particular skill on project after project. This was the problem we were looking to solve," says Tzeh Bin. Excitech were familiar with this challenge, having encountered it in many architectural practices and associated construction industry businesses. There is a ready solution: Pinnacle Series. It provides just-in-time training at the point of need; covering Revit in depth, along with all Autodesk products. It comes with pre-loaded content, while also allowing companies to load their own content, learning paths, workflows, and even standard company procedures, building into a core font of knowledge. Adoption at SEH was fast and enthusiastic. "People here love Pinnacle Series," says Tzeh Bin. "It takes no time at all to go online and immediately find out best practice for whatever it is you need to do; no more time-wasting wandering round the office and asking others how to do it, no more hesitation when people realise that something they need to do right now just happens to be in the 50% of their knowledge that has evaporated. It has motivated the team and certainly boosted our productivity." SEH have become regular users of Pinnacle Series and its online live chat support feature. One of the underlining challenges around distant learning is having the ability to reach out to an expert when a user has difficulty understanding a particular subject matter, and as such limiting their ability to progress through the course. Within a class room based environment, this isn’t a problem due to having an instructor available throughout the duration of the course. Another challenge commonly seen, is users having the confidence to exercise what they’ve learnt through a course on a live project which provides the opportunity to fully absorb the required knowledge due to its relevance. Pinnacle Series not only provides a tool in which users can learn more flexibly in and around existing commitments, it provides the ability to have an instructor on hand remotely, accessible as and when needed to address both of these challenges. It's now part of the everyday working practice at SEH. "Pinnacle Series at SEH means people have a ready-made expert 'advisor' accessible through their computer or mobile device whenever they need one", says Tzeh Bin. "It goes further than that too. It has given us visibility into people's progress as well as giving the individual a reliable means of self-assessing his or her own progress. The integral test questions help in knowledge retention". "Everything is now in place to ensure errors never leave the building. In fact, they're also far less likely to occur within the building." Tzeh Bin took the opportunity, when file naming came under scrutiny, to explore how a rigorous document management system might help with other issues in the business. This included printing from Revit, managing transmittals, and efficiently and automatically uploading to Asite’s Adoddle (the cloud-based inter-disciplinary collaboration platform) or Autodesk’s BIM 360. The first question to ask was “how intuitive are the file naming conventions within a BIM environment?” Tzeh Bin believes not at all. While Pinnacle Series was enhancing staff skills and improving productivity, there remained a spanner in the works which had the potential to bring things to a grinding halt; the manual naming of files. Incorrect versions: A minor slip when manually applying a file name, invariably when a user has opened the file, worked on it and then saved it as the latest version, can develop in the system long before it is discovered. Sometimes it's not discovered until too late. Wrong assumptions: The wrong file can set off on its journey through other users, other processes and even other firms; recipients assuming that the file they are working from is the latest version because they received it with an assurance from the sender that it was the latest version. On-site delays and extra costs: An incorrect, out-of-date version can carry errors right down to the construction site. It can result in reworks, added costs, unhappy clients and negative impacts on a company's reputation and relationships. It isn't best practice. Best practice is ensured when file names or title blocks are automatically generated by software uniquely designed to do just that. Tzeh Bin shared his concerns with Excitech: "Apart from the hidden problems we knew that file naming inconsistency could conceal, we also wanted to further align our practices with BIM level 2 standards as another step in the BIM readiness process we're progressing through step by step. Excitech outlined their proprietary solution, Excitech DOCS, which required no manual input for file naming. We had no hesitation in acquiring the software." Excitech DOCS provides unique integration with Autodesk AutoCAD and Autodesk Revit. For any project, it's simply a case of entering the project name and the software generates the file name. "It has taken an enormous weight off the shoulders of our architects, enabling them to focus on creativity rather than administration," says Tzeh Bin. "We also find the automatic approvals process to be a big plus. Everything is now in place to ensure errors never leave the building. In fact, they're also far less likely to occur within the building." Version control remains a challenge for Revit users when it comes to printing to PDF. Companies have to install third-party print drivers that will typically remember the location that a previous PDF was saved to and the name it was saved as, leading to the risk that the new file is created in the wrong folder or even overwrites existing files. BS 1192 delivers clarity for all users if its procedures are strictly followed. Doing so manually requires very detailed familiarity with each field in the file name and its purpose (suitability codes and revision numbers being prime examples). “Architects and designers have enough on their plates without being side-tracked into the complexities of getting codes right. In my opinion they shouldn’t be expected to. Excitech showed us how Excitech DOCS takes care of the detail. When you print from Revit, for example, you’re prompted for the suitability code and only offered those codes that are appropriate; you are guided through simple choices”. “We have seen similar outstanding results through the improvements to our transmittals processes that Excitech DOCS has made possible,” says Tzeh Bin. SEH had long experienced the tedium, and contended with the risk, of manual error entailed in preparing transmittals. Hundreds of drawings can be involved, all requiring cutting and pasting, insertion of minute details and identifying relevant emails, paper-based documents, discs and downloads together with dates and version numbers for every item. It’s not just the time involved in gathering, preparation, checking and sending that’s a drain on business resources; complications can come long after the transmittal has left the building. Months later, contractors or subcontractors may require specific detail and guidance on an aspect within the transmittal that is of particular relevance to them, at which point the sifting through of the whole bundle takes place again. “There just had to be a better way,” says Tzeh Bin, “And with Excitech DOCS, there was. Assembling the transmittal is easy for the document controller as the files that fit for external release are gathered in the Shared or Published areas and only the latest files are presented. There is no hunting around to ensure we have the right content. The system automatically creates a historical transmittal sheet too, so all the time we used to spend editing spreadsheets to detail the content of the transmittal has been given back to us. Uploading to Asite or BIM 360 is automatic too. Instead of uploading each file one-by-one and keying in the metadata, you click on a button and it’s all done”. “The headaches of transmittals have disappeared”. “A large gain for us has been in the re-issuing of transmittals as you just identify a previous transmittal and it will find the latest versions of all the files. All we have to do is make a few changes where needed and then let the system build the new one for us. Everything is recorded and hyperlinked so if at any time we want to find what was sent it’s just a few clicks and can take us to either our copy or directly to the upload one on the extranet site. "We now have Excitech firmly in our stable as a support partner," says Tzeh Bin. The relationship between the two companies has extended as a result of the Revit/Pinnacle Series/Excitech DOCS initiatives. In addition to CAD support, Excitech now provide ongoing IT support for SEH. "We rely on Excitech to take care of the backbone of the business when it comes to anything tech-related. They monitor our systems and always jump straight in if they see problems, recommending solutions without being asked to. They are a safe pair of hands and they give all of us confidence. They have successfully guided us through two big challenges so far and we are closer to achieving BIM Level 2 accreditation with their help. I'd estimate that with Excitech DOCS alone we are now saving four hours per person, per week. Across 10 core users that mounts up to 160 hours per month, or 20 person-days. It's a better result than we could ever have hoped for," concludes Tzeh Bin. 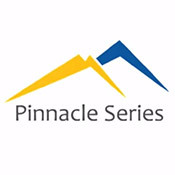 To learn more about Pinnacle Series, click here. To learn more about Excitech DOCS, click here. For more information on BIM Level 2 Accreditation, click here. Follow Shepheard Epstein Hunter across their social media channels via the links below.